President-elect Donald Trump is likely to reshape the U.S. Environmental Protection Agency, and alter some of its most burdensome regulations, which will benefit North Carolina farmers, businesses, and utility ratepayers, state Department of Environmental Quality Secretary Donald van der Vaart says. Two of President Obama’s signature regulations, the Clean Power Plan, and Waters of the United States, whose harshest critics include U.S. Rep. David Rouzer, R-7th District, would be a focus of the new administration, van der Vaart says. Rouzer introduced legislation to kill WOTUS, which he has said would classify most of his district as a wetland, and have “very dire consequences” for homebuilding, construction, and agriculture. The rule would expand federal control over inland streams and wetlands reputedly to protect them. “We’re anticipating a significant change in the direction that the EPA may go under the Trump administration judging by all of the factors that we can judge something like that by including the things that candidate Trump has said,” and by tapping Myron Ebell to head up his transition team to find a new EPA administrator, van der Vaart told Carolina Journal. Ebell is director of energy and environment at the libertarian Competitive Enterprise Institute, and a critic of climate alarmism who is skeptical whether human activity has much effect on global warming. Van der Vaart himself might be under consideration for a position in the Trump administration. When asked if he had been contacted by the transition team, he responded, “All I’ve been instructed to say is you need to ask the Trump campaign that question.” Requests for comment from the Trump transition team, Gov. Pat McCrory’s office, and Ebell were not returned. The McCrory administration opposed both of those rules, and joined other states in successfully challenging them in court. The U.S. Supreme Court in February issued a stay to halt implementation of the Clean Power Plan. The 6th U.S. Circuit Court of Appeals in October 2015 issued a stay on the WOTUS rule. The “ultimate disposition” of the Clean Power Plan depends on Trump’s pick for the Supreme Court seat vacated when Justice Antonin Scalia passed away, or actions by the new EPA, van der Vaart said. The federal rule was enacted to combat climate change by reducing carbon emissions. Critics contend it is a war on fossil fuels and power plants that use them. Given Ebell’s positions on the issue, “I would be very surprised if the new EPA would support that rule in the form that it’s in right now,” van der Vaart said. It could be amended, repealed, or be dealt with through some other mechanism. He expects the same outcome for WOTUS. “I think that the Trump administration has a very real understanding of the kind of costs that both of these rules incur with no environmental benefit,” van der Vaart said. He contends the Clean Power Plan is illegal, and would impose an average $400 annual cost on every ratepayer. “It’s an incredibly invasive rule,” and was written by the EPA despite Congress telling the Obama administration it would not pass legislation to limit so-called greenhouse gases, he said. Unless changes are made at the federal level, North Carolina is likely to experience “continued cannibalization of our power grid, of our power generation,” by replacing lower-cost nuclear and coal-fired power plants with more expensive renewable energy sources, van der Vaart said. Utilities are forced under the federal Public Utility Regulatory Policies Act to buy renewable power generation, which is “starting to affect the viability of other sources of electricity,” van der Vaart said. North Carolina is approaching the point that Germany has reached, he said. Because German law requires the purchase of solar and wind power, the country sometimes has to pay France or another neighboring nation to take some of its excess power generation. The federal law mandating utilities buy renewable energy when produced should be eliminated to allow states to control their power mix decisions, van der Vaart said. 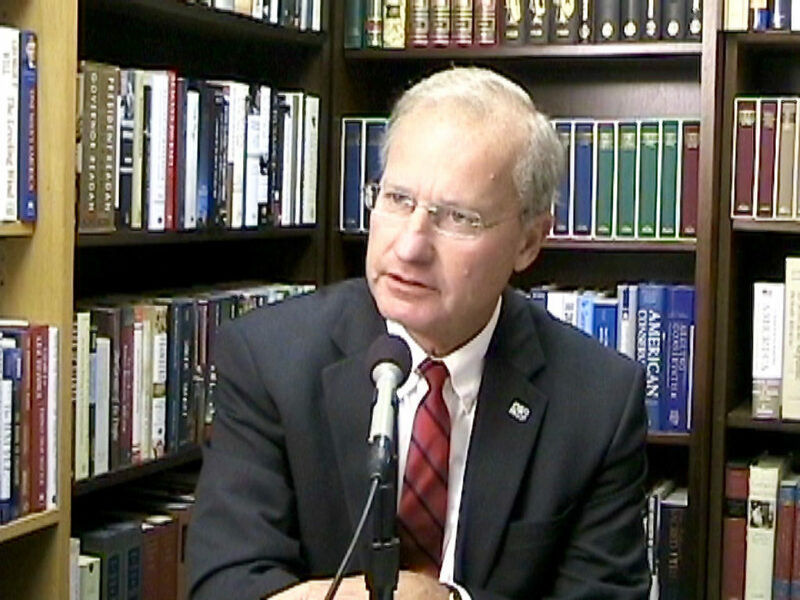 That led van der Vaart to join Alabama, Nebraska, North Dakota, and Virginia in signing a letter asking Trump to return environmental leadership to the states, put a moratorium on proposed and new federal regulations, work with governors and state environmental directors to eliminate federal overreach, and end secret policymaking by Washington insiders.